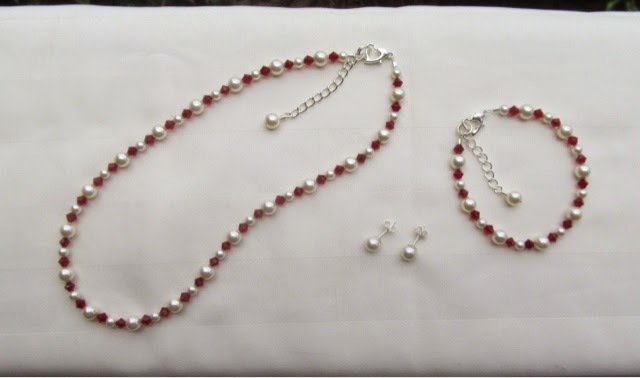 Most of my flower girl sets come with a necklace and bracelet in the length you choose (I provide a size chart for various age ranges in each description), and each bracelet and necklace come with an extension chain with pearl dangle attached at the end. I use high quality silver (or gold) plated heart shaped lobster clasps and very secure crimps and wire guardians (which help protect the wire from being rubbed against the clasps). I use high quality professional beading wire - 49 count (which is the highest count available, and also gives a great flexible, yet durable drape to it). 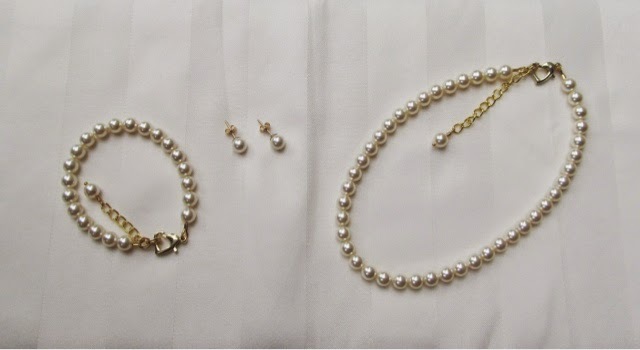 Most of my flower girl jewelry sets also come with a pair of pearl post stud earrings (using 925 sterling silver or 14k gold filled posts and backs), but I can change them to pearl dangles, or even clip-on earrings. 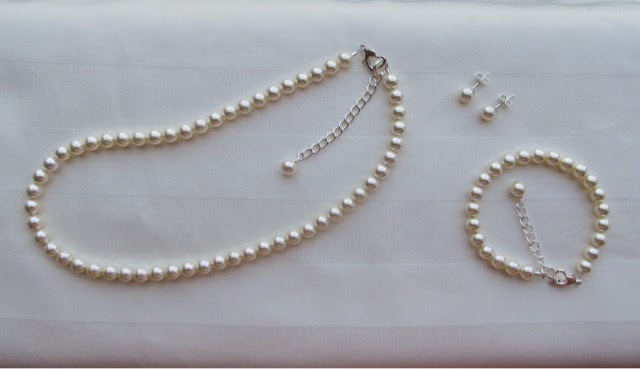 I also have some jewelry sets with just the necklace and bracelet (no earrings). Click here to see all of my flower girl jewelry sets! 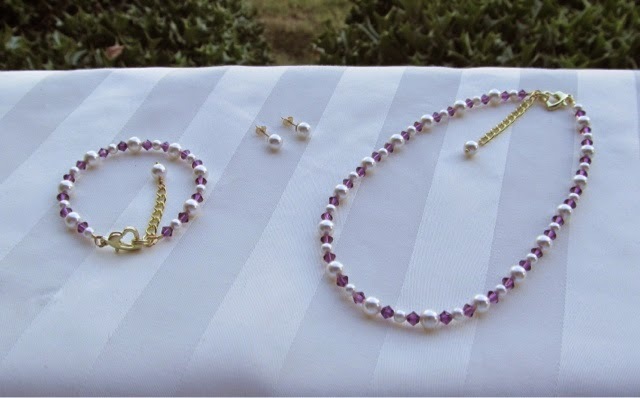 I have these jewelry sets in many pearl and crystal colors and color combinations. 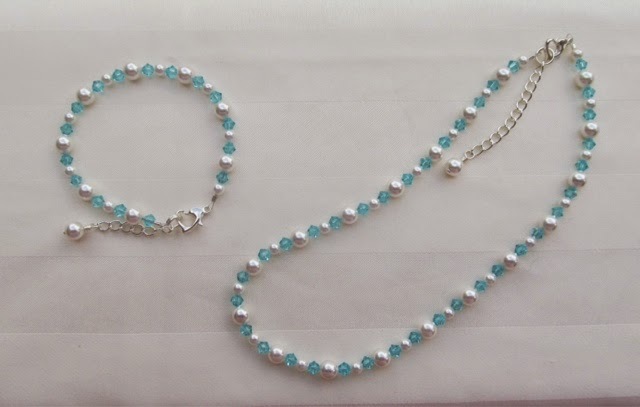 There's a set for just the plain clear crystals with white or ivory pearls, sets made with just white or ivory pearls, and then there are sets with pearls and crystals in various colors, such as blue crystals, red crystals, fuchsia crystals, purple crystals, brown crystals, etc. 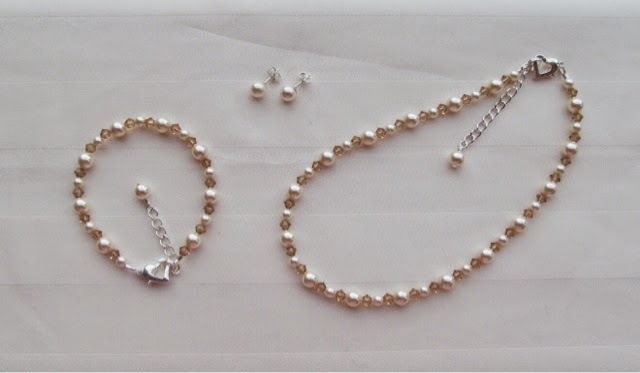 I can also make sets with silver or gold clasps and chains.